Q22 blastsawayoil,dirt, uxresidueandcondensationfromsensitiveelectronicsandelectricalequipment with pinpoint precision. It dries quickly, leaves no residue and removes more soil than leading competitors, making it the best at cleaning electrical contacts. Safe to use and it’s ideal for use on printed circuit boards, controls, switches, precision instruments and electric panels. 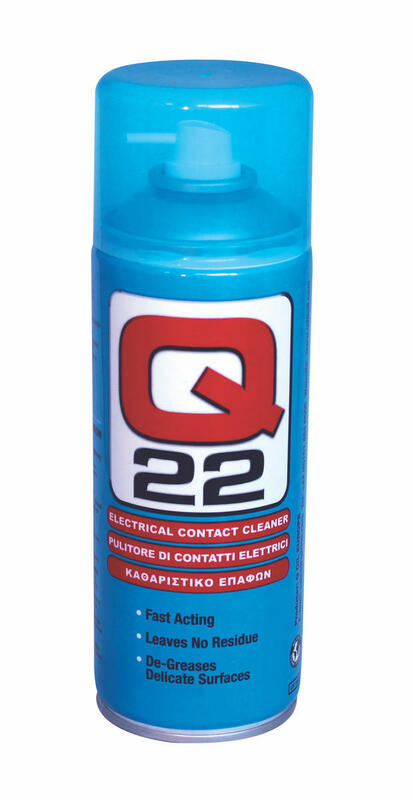 Q22 improves the performance and reliability of electrical/electronic equipment in industry by preventing contact failures or malfunctions by dissolving and rinsing away contaminants which may hold moisture and cause corrosion or arcing. 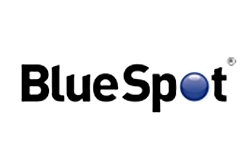 This product is fully REACH compliant and is manufactured in the UK. The Q22 Aerosol Has A 360O Ball Bearing Valve Below The Nozzle, Enabling The Aerosol To Be Completely Inverted And Still Give You The Perfect Spray For All Those Hard To Reach Areas!